Delhi, the capital city of India, is a land where food is much more than something needed to sustain the body; it is a way of life. Along with Indian cuisine, a whole lot of international cuisines are also popular among the residents of Delhi. Street food is popular as well in this fast-moving place, with road side stalls present everywhere in the city. 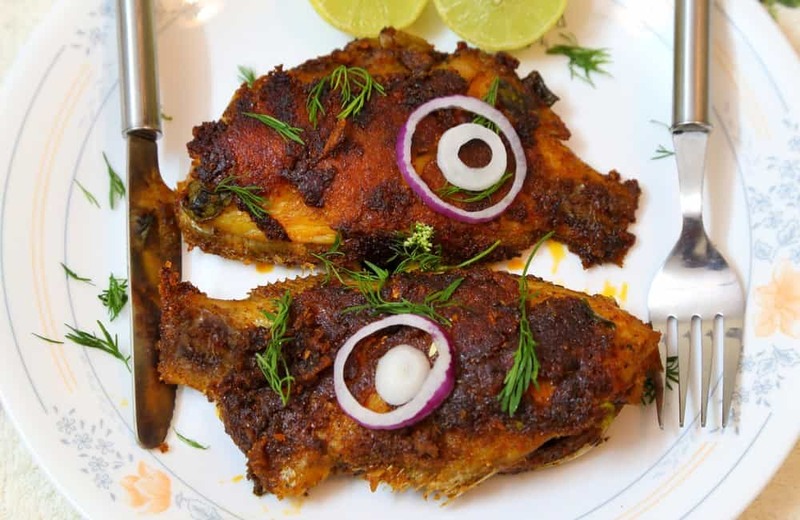 Worldwide favourites, such as tandoori chicken, are said to have their origins at the restaurants of Delhi. Going on a food trail in the metropolis is almost a must for every traveller to experience its true essence. 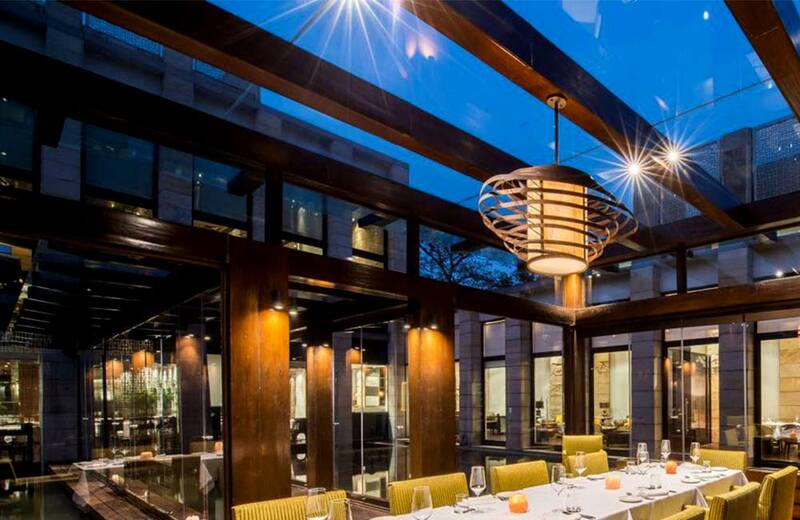 Here we take a look at some of the most iconic restaurants in the national capital. Dum Pukht, is a critical element in the Awadhi cuisine of Lucknow; meat, spices and herbs are kept inside a pot which is then covered with dough. The meat is allowed to cook while it takes on the flavour of the seasoning, and this results in an exuberant dish which is the speciality of the restaurant that goes by the same name. S. Pellegrino and Acqua Panna released its list of Asia’s Fifty Best Restaurants, and Dum Pukht was cited as the best in India in their 2014 edition. 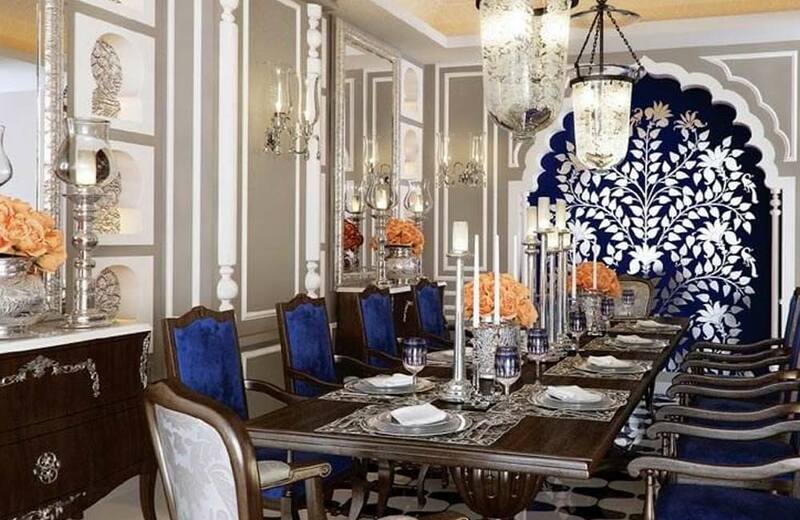 The restaurant serves its biryanis and slow-cooked kebabs in its magnificent silver and blue dining room, adorned with crystal chandeliers, making it among the best restaurants in Delhi for couples. While here, do not forget to order Dum Pukht biryani, shahi nihari, dudiya kabab and Kakori kabab. Indian Accent is located inside a small boutique hotel that Chef Manish Mehrotra uses as his abode for fusing local cuisine with contemporary Western elements in imaginative ways. Foie gras-stuffed galawati kebabs with strawberries and green chilli chutney, butter chicken altered with peanut butter and roast peanuts, and crabs with tomato pickle and roasted coconut are all examples of the innovative ideas that Indian Accent has come up with. Situated right beside Dum Pukht, Bukhara is another restaurant in S. Pellegrino and Acqua Panna’s top fifty restaurants in Asia list. 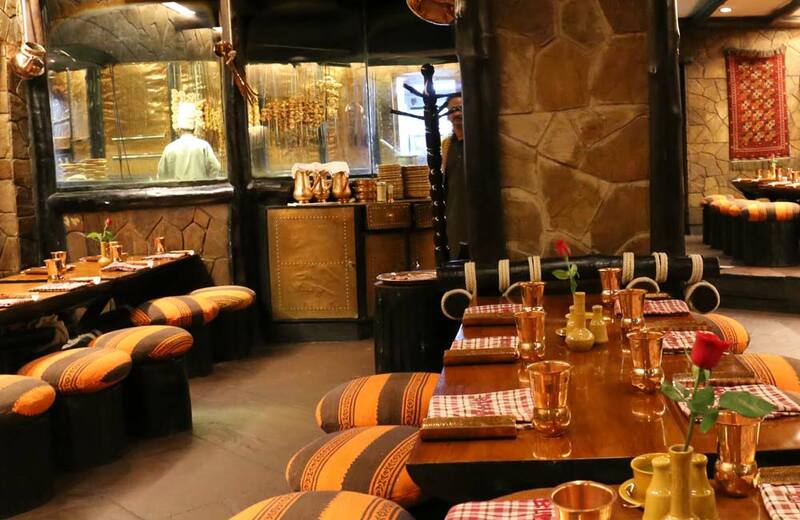 It is in stark contrast to Dum Pukht with its ambience being nothing like its next-door neighbour in its décor, as it features a rustic, dark brown theme. Started in 1978, the restaurant has not changed much since. The menu comprises of marinated meat cooked in a tandoor along with loads of breads and curies. Its signature is Daal Bukhara, wherein lentils are cooked slowly for almost 24 hours! Spice Route showcases the journey of spices from Kerala’s Malabar Coast, all the way to Vietnam, through Sri Lanka, Myanmar and Thailand. 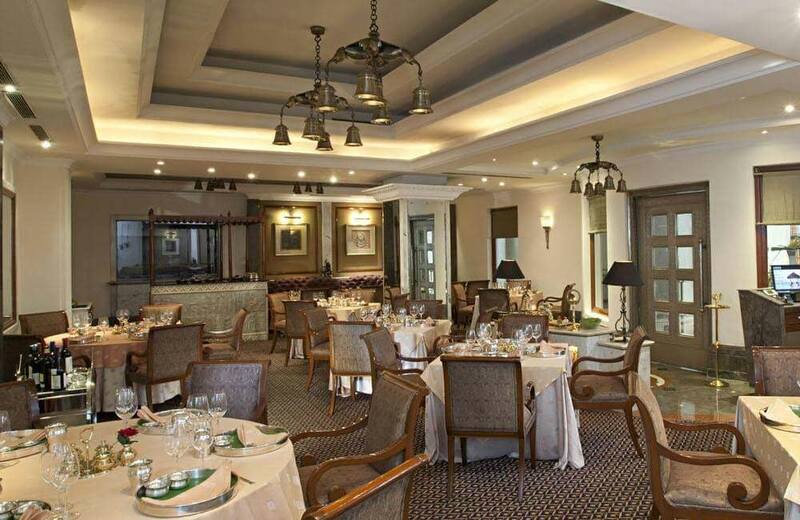 Its interiors are quite magnificent, with dining halls featuring exquisite antiques and paintings depicting the many countries along the spice route. 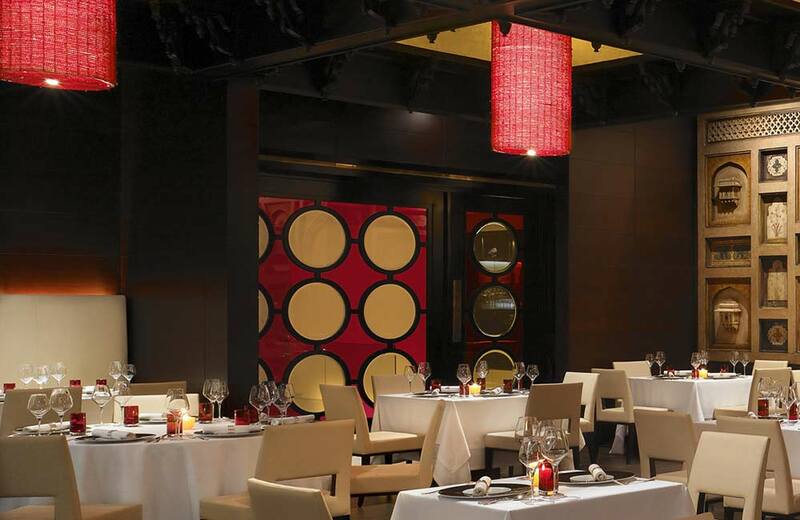 The menu at Spice Route consists of Pan-Asian classics with lots of options for vegetarians and non-vegetarians. 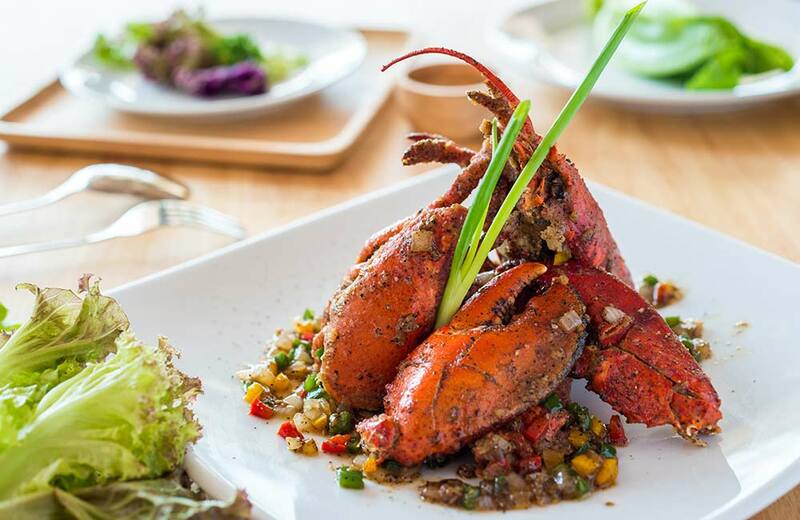 Some of the best options here are the Thai-style lobster, which is stir fried with mushrooms and ginger, and the vermicelli payasam enriched with cashew nuts and raisins. Dakshin, as its name would suggest, serves a variety of dishes from southern India. Covering cuisines from Kerala and Karnataka to Andhra Pradesh and Tamil Nadu, Dakshin disposes of the notion that many have that South Indian cuisine is vegetarian. It offers a multitude of dishes such as veinchina mamsam (lamb with coriander, chillies, onions and garam masala) and deep-fried prawns. Meen Moilee, Chicken Chettinad, and Tomato Pappu are some other must-try here. Another one of S. Pellegrino and Acqua Panna’s top fifty restaurants in Asia, Varq combines the best of street food with fine dining, both in its dishes and interiors. 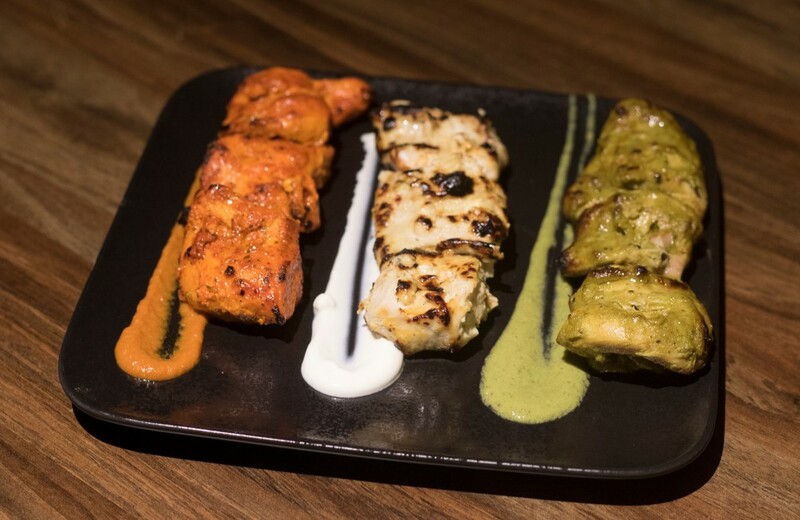 The chef’s modern take on old dishes is a treat to experience with many new dishes being born, such as jalebis served with silver leaves and pistachio dip. 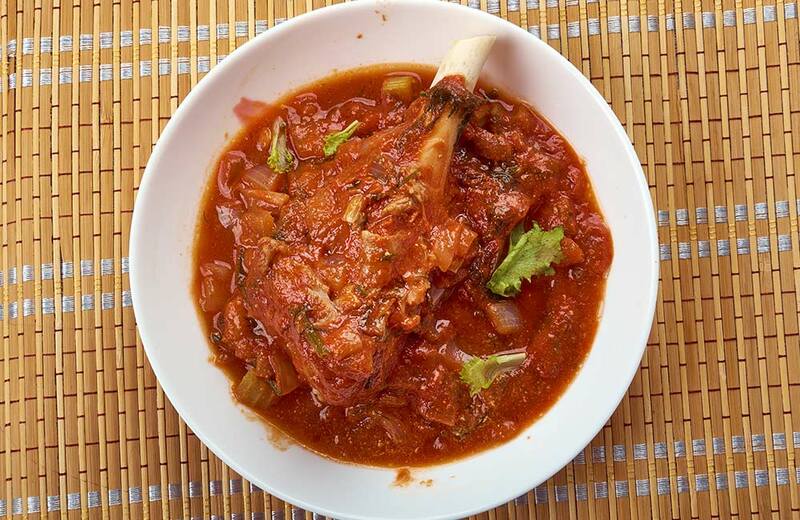 Other famous dishes are the ganderi chicken kebabs as well as the atta raan, which is a roast leg of lamb. Karim’s is one of the best restaurants in New Delhi, one where commoners as well as the rich and famous come to get their fill. This restaurant has been serving the cuisine of the kitchens of the Mughal Empire since 1913. 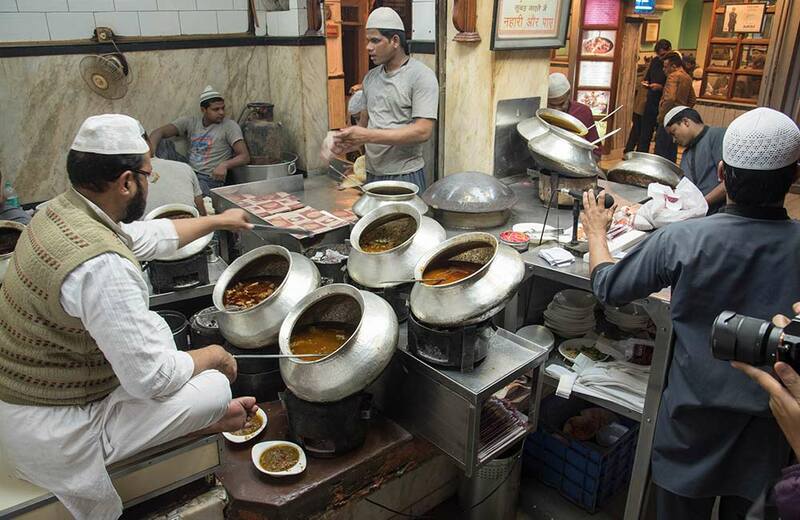 It has its original premises next to the Jama Masjid in Old Delhi which is still the most popular outlet. 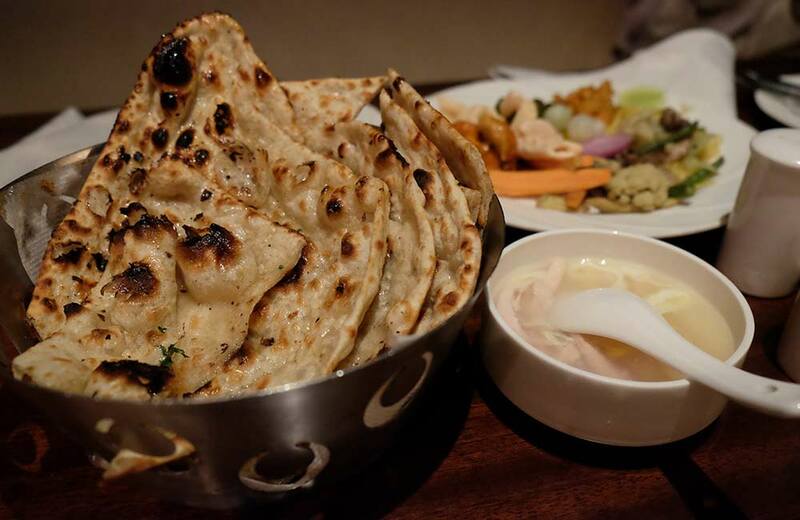 Its renowned dishes include the mutton burra kebabs and the famous tandoori chicken. The restaurant is a crowd favourite with its no-frills and authentic dining experience. Moti Mahal is one of the oldest restaurants in Delhi. It was founded in Daryaganj shortly after we, as a nation, obtained independence. It takes credit for having introduced the recipes for burra kebabs, butter chicken and tandoori chicken to the culinary world. Moti Mahal has over the years expanded to form a chain, with outlets in multiple cities across India. Punjabi by Nature is yet another popular restaurant in Delhi that has been expanding to various locations around the city. It specialises in Punjabi cuisine, which the name suggests. 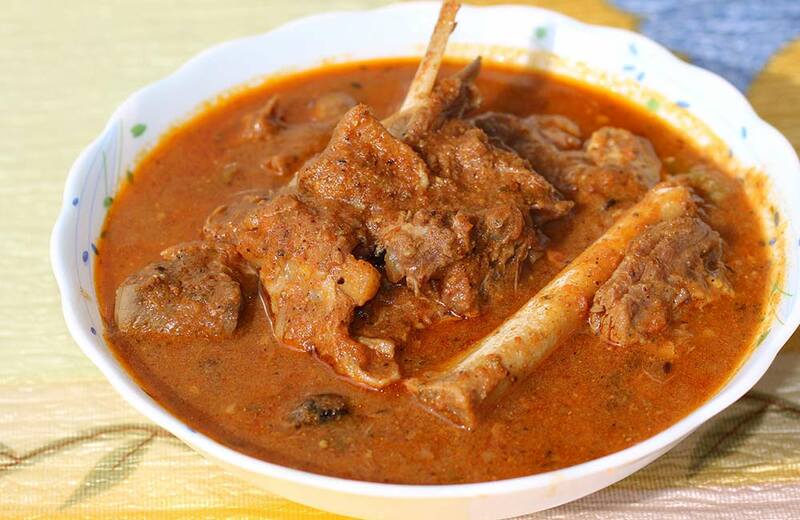 Some of the signature dishes include raan-e-Punjab (slow-roasted lamb leg served with black lentils with cream and butter) and vodka golgappa, wherein the spiced vodka is the liquid in place of flavoured water. With a figurine of a Sikh man, durbans in ethnic Punjabi attire, woven cots, wooden furniture, jharokhas and mud-plastered walls, Pind Balluchi outlets typically recreate the Rajasthani and Punjabi rural setting. Pind Balluchi’s menu features a wide variety of Afghan and Mughlai barbeque dishes along with global Punjabi favourites. It includes murg potli, which is minced chicken wrapped in marinated chicken breasts. Vegetarians can also find good dishes here, with the mewa paneer tukra being one of those. It is an exquisite dish of paneer stuffed with dates, nuts and raisins. Mention the name to your grandparents, and they will surely have childhood memories of eating at this restaurant. It has been serving up some amazing dishes in terms of flavour, aroma and presentation for a good 70 years now. Chole bhature is the classic dish to order here while the tandoori pomfret, Kakori kebabs and the mouth-watering taar gosht are the other favourites. 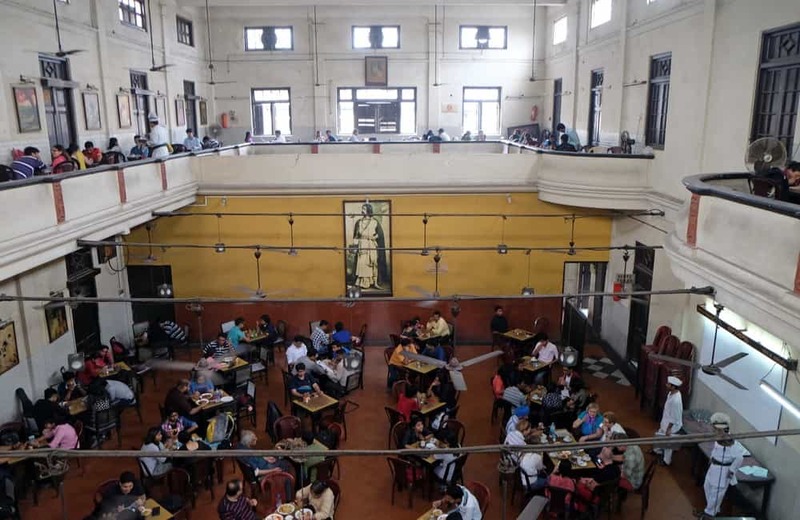 A staple of the city as well as the entire country, the Indian Coffee House has been going strong since 1957. Located on the terrace, this joint has both an outdoor and indoor eating area. The masala dosa and puri bhaji are some of the noteworthy items to try when you visit. On days with good weather, you will find this place jam packed without a square inch to spare. The quality and taste of the food are still immaculate, regardless of the pricing, making it one of the best family restaurants in Delhi. Don’t be fooled by its unassuming décor for the food served here is just yum! Delighting foodies around Delhi for over 50 years now, this joint is a legend. It is a paradise for meat lovers as the galawati kebabs here are simply amazing as are butter chicken and tangri kebabs. Wenger’s is one Delhi oldest and best bakeries, and locals agree. 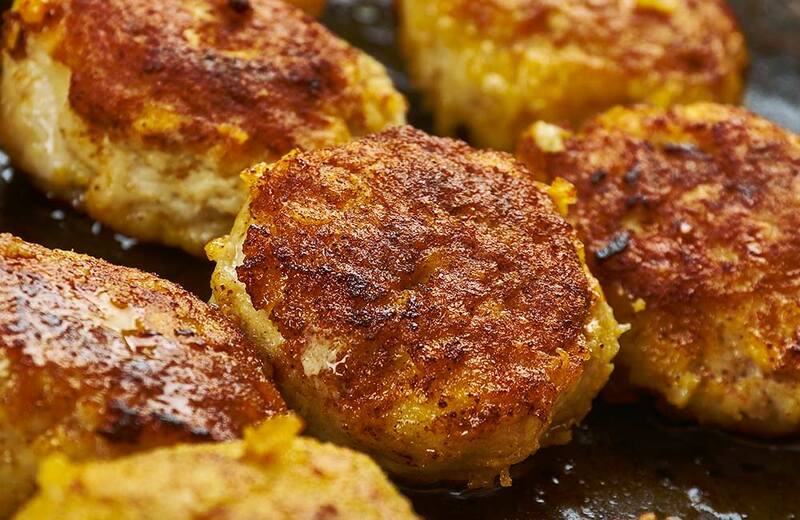 The mutton puffs and chicken patties that come out of the kitchen are definitely worth their weight in gold. Another one of their specialities is the Nutella waffles. If you are ever strolling in Connaught Place and want a quick bite to fill your tummy, then this is the place to go to. Kake Da Hotel is one of Delhi’s most famous restaurants, and it has been there for around 80 years. The dal makhani, butter chicken and tandoori chicken are some of the dishes you should go for. If you are looking to stuff yourself, then this is the place to be as they will feed you unimaginable quantities of food till the point you can’t move. With a nice and casual ambience, it can really leave a mark on your heart, especially if that heart is a stickler for Mughlai and Punjabi food! They bring the best of both affordable pricing and taste into one big heap of food. 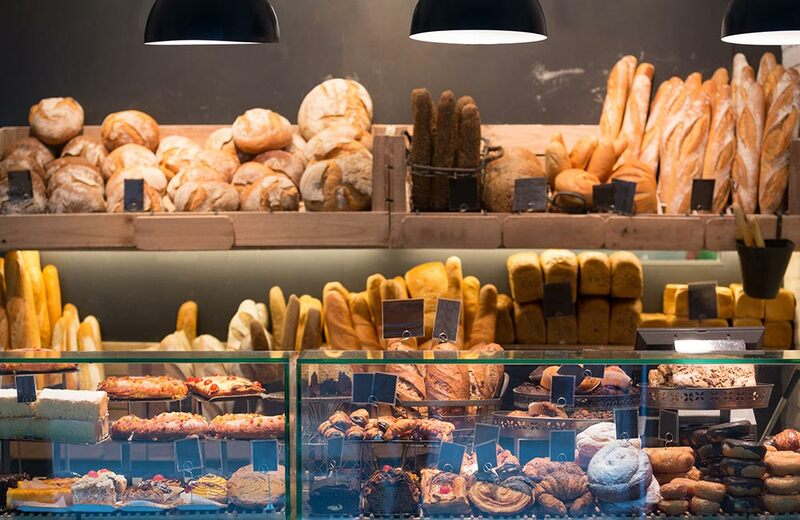 From fine dining to street food, the national capital has it all when it comes to gastronomy. Do check these places whenever you are staying at a hotel in Delhi, and you’re bound to come back wanting more!